Nearly 90 lakh users; up to 1.2 lakh transactions per second; 320 crore transactions per month and just 60,000 tax officers. Those are just some of the mind-boggling numbers that define the coming launch of GST on July 1. 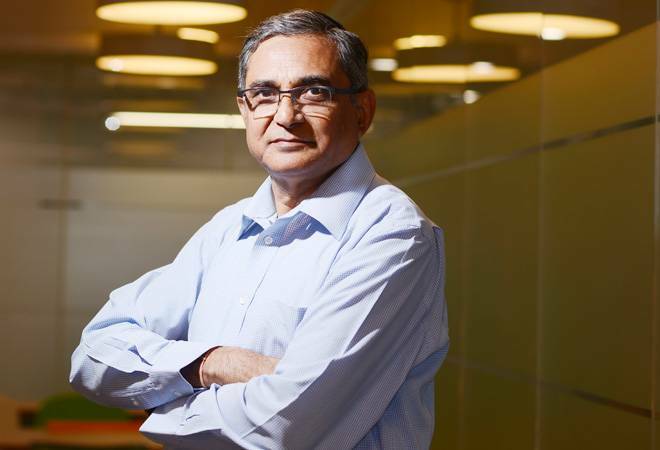 At the centre of this all is the chairman of GST Network Limited, Navin Kumar, the man in charge of the technology to make India's biggest tax reform work seamlessly across the length and breadth of the country. Business Today's Rajeev Dubey, Prosenjit Datta and Dipak Kumar Mondal asked Kumar how ready is the network to handle the transition of eight central and six state taxes into GST. What is July 1 about, apart from the fact that GST goes live? From July 1, the businesses can start issuing tax invoices using GSTIN. They can start uploading from July 16. But then why are so many businesses around the country panicking, liquidating their stocks? I don't know why. If you have stock then you have to file a claim for input tax credit on that. Somebody will look at it. It's fear of the unknown. What will happen, we don't know. How things will pan out, we don't know. So why take risk. That is one. The other is, people generally want to avoid the interaction with the tax department. You file a claim, then they will say bring your books. But not everybody is liquidating their stocks. What is GSTN's readiness in terms of the load on the network and how many states have plugged in and how many are still dragging their feet? There are two pre-requisites for GST to roll out. One, is that the law mandates that all the existing tax payers of those taxes that are getting subsumed in GST should be migrated to the new regime. Second, that the facility for registering new tax payers also must be ready. On migration, the law says that on and from the appointed date ever existing tax payer who has a valid PAN will be given a provisional certificate of registration under GST. Within three months they have to provide certain information. Once they provide the information, the registration will be finalised. As per this, we are supposed to give that provisional certificate of registration on July 1. When this first came in the model GST law of 2015, we said how do we accomplish this task. In order to migrate the existing tax payers we must first have their list with us. Fortunately, we had started work on this two years earlier in 2013. We had collected data of all tax payers from state tax departments and CBEC. We found that number was something like 90 lakh. The model law also said all these will be given identification number GSTIN which will be based on PAN. When we looked at the data we found that most of the state VAT dealers mostly didn't have their PAN. The central tax payers mostly had PAN but not everybody had PAN in either of the databases. Then we corresponded with tax authorities to collect PAN and send to us. They did that. We verified the PAN number with the CBDT database. Then we found that there were a lot of fake PAN nos. Some were not in the name of the business. The business is Ram & Co., the PAN is in the name of Rama Kumari. We sent all the mismatches to the tax authorities. How bad was the level of mismatch? Huge. We had to do 20 iterations over a period of 3 years. How bad was the first lot? Huge. The first lot was almost entirely sent back. This went on from 2013 to 2016. We cleaned that and finally we ended with PANs for 80 lakh verified tax payers. The rest were either not active, not interested or were not found. The next problem we had was that if we had to give on Apr 1 (the then date) provisional certificate of registration to all of them, how do we do that? We must have their address, contacts, email--we didn't have that. Also, the law was not there. So what do we do? Under what law? We went to the empowered committee of state finance ministers saying the number is very large and we don't want to wait until the last day, so permit us to work on this even though there is no law to collaborate with the tax departments. We need the PAN to generate the GSTIN. We sent that together with the password for each taxpayer to the respective tax departments to pass it on to the taxpayer and tell him that he can use the provisional ID (for GSTIN, since the GST law was not in place) to log on to the website and create their account and provide whatever information is required. The tax departments got in touch with the tax payers and persuaded them to come to our portal. Out of 80 lakh, 60.5 lakh created their account. We found that the number of people accessing website went to a maximum of two lakh per day, then became 5-6000. Then we received requests to extend that many people had got left out. So the June 1-15 we reopened, 6 lakh more registered. We will open it again on June 25 and will be open for 3 months. I hope whoever is left will come. I have been wondering why the remaining 15 lakh haven't registered. People tell me since the threshold has been raised to Rs 20 lakh (the VAT threshold was Rs 5-10 lakh in most states, the service tax threshold was Rs two lakh), so people who are between Rs 5-20 lakh legally don't need to continue registration. So some of them may not come. But whoever has to do business with GST has to migrate. For fresh registrations also we are starting on June 25. The scenario that is emerging now is that there are some sectors which were not taxed (textile, sugar, diamond) under the existing regime are coming under GST now. These are the people who would be eager to register, otherwise registration goes on in a fairly even manner throughout the year. We had done a survey of VAT and we found net growth in registrations is 4-5 per cent after 0.5-1 per cent are cancelled every year. I anticipate about 10 lakh new tax payers from these new sectors may want to come from June 25. We have made arrangements for them. Our experience with enrolment on website was that when people come they are supposed to do two things. One, they must see what are the system requirements that they must have on the computer, the kind of browser, etc. All those instructions are there but people don't read it. The other is they must go through the user manual because it says how to fill up the form, what are the conditions, but people don't read and they have problems and they rush to the helpdesk so it creates a lot of problems. We will release a list of Do's and Don'ts. What about the states' preparedness and the network's readiness? We have prepared for concurrency (number of users the system can handle at the same time). We have designed the system for 60,000 users per second. But we are keeping infrastructure on standby and we'll quickly expand the capacity if it exceeds. The redundancy is 2x. So far as the states are concerned, our system has to connect to all states because the data that we receive is passed on immediately to all the tax authorities at state and the centre. Fortunately for us, because of the mission mode project the government of India has implemented during the past decade, all states and centre have computerised their commercial taxes. The advantage of this was that the tax payers have got used to e-filing all over the country. If we had to start explaining how to use the computer it would have been very difficult. Here everything is totally automated, there's nothing manual. But the systems which were in existence they were different because each state had developed its own on different platforms, with different clause, different formats and different user interfaces. We told them that in order for your system to our system what are the requirements. So they had to either upgrade their system or replace their systems in 2014. Before we started, the government of India asked us about the readiness of the states and how long they will take to implement. We made a study and told government that in our estimation the level of sophistication is from very rudimentary to very sophisticated. Most states were in between. Our estimate was that not more than 8-10 states will be able to do their systems by the time GST rolls out. We offered to the states that we could do their systems also. 12 states asked us to do this. But when we floated our tenders, we kept provision for 30 states. Ultimately, over the years, of the 29 states, 20 states and all the seven union territories have come to us. Nine states and CBEC are doing themselves. Their systems are ready. We have tested the connections to these to our data centres (two here and two in Bangalore) and CBEC. The states are ready to accept data from us. For purposes of transmission of data, the states and CBEC are ready. The backend of 27 states is on our system so there's no problem with that. What happens to states like Kerala and J&K? Kerala has passed the Act. Legally, J&K is not in. They have their system. We have connected our systems to their systems. The states don't have to do anything at this point. Their role will only come after returns have been filed and they start assessment. At this point, the only thing they need to do is look at the registration applications and say 'yes' or 'no'. The question is when there is no law, what happens to people who apply from J&K. We are in a fix, what to do? Shall we block their application? But there are two parts to GST-CGST and SGST. CGST law is already there. So what we are thinking is that for those applications we will generate a provisional registration. I have already referred the matter to the government to provide a solution. Are you prepared for 300 crore transactions per month? Yes. The new thing under GST is the provision of the invoice data for all the B2B transactions, which was not being taken earlier. Some states started doing this in anticipation of GST and they had a bad experience of this. But we wanted to know how many invoices would be generated and data would be put up on our network. We got data from nine states that were taking invoice-level data. They were taking data as annexures, but were not using it. We found that the average invoices per month per dealer was 127, but the range very wide-from 10 invoices to 28 lakh invoices in a month. We had to devise the system that could handle this. To size the system, looking at an average of 127, we took 3 times that, 400, as the average number of invoices. Multiplied by 80 lakh tax payers, it gives you 320 crore invoices per month. We planned for storage which was double of this requirement. Almost six times of what we have witnessed, we have provided for but how many will actually come we will only after the first month. The next stage will be filing of returns which will start from September. The law says that the tax for a particular month is to be paid in the following month and the returns are to be filed in the following month. For July, the returns are to be filed in August, together with the tax. For the first two months this has been deferred so for July the return will be filed in September but taxes have to be paid in advance. So what happens in July? Our action starts from August, now September. But what we are doing is that just like we started enrolment before, since the uploading of invoice will be the main activity, that may take a lot of effort on the part of tax payers, we are opening the facility for upload of invoice data from July 16. To facilitate the uploading, we have given an offline utility which is excel based. They can download this on their computer and they can keep adding the invoice data on that excel and this tool will import this upload this to our system. The tool can handle 19000 invoices in one go. It takes 17 seconds. For a medium enterprise with 50,000 invoices in a month, we are going to suggest that you upload every week. Let's consider the enterprise that generates 28 lakh invoices, what does he do? Virtually, one lakh invoices per day. Most big businesses use ERP. Their ERP will be connecting to our system through GSPs (GST Suvidha Providers). But we are telling them that even if the GSPs are not ready, you can use our tool to upload invoices. All you have to ask your ERP is to put the invoice data into the sheet and somebody can do it 5 times, it will take half a minute each. So if their GSPs are not ready, they can use this tool. What happens to the E-way bill? All the laws are subsumed under GST but the states still need to collect taxes at borders as per old laws... they say GSTN was not ready. The rules are not ready so how can I be ready. You have to give me the rule. Only then I can make the system. Earlier, we were asked that you have to do this so we prepared an RFP (request for proposal) and the scope of work and made it the way we thought it should be done. Then we thought we will modify this when the rules come. The rules have not come so we cannot do anything. Taxes are never captured at the borders. E-way bill system is of giving a permit or transit slip when the vehicle enters their border and vehicles are supposed to hand over that slip when they exit. So the government knows whether the goods have passed through or they have been offloaded here. What will happen now is that the same system will continue and when e-way bill comes that will be replaced. The complication is that in anticipation of GST, many states have already abolished the checkposts. But they can always check vehicles on the way. I hope some decision on the e-way bill will come soon. I don't know. There is one school of thought that now that there is no tax rate arbitrage (earlier you had CST of 2 per cent and VAT of 14-15 per cent so there was a lot of scope of exploiting this arbitrage), so why do you need an e-way bill system? They will have a separate body to look at that. People will complain that tax is reduced but it's not being passed on. It will be an adjudicatory system. They will look at it. We don't have anything to do with that. What happens when the supplier doesn't have his system ready but all the others in the chain have? The introduction of GST has not come clandenstinely. People knew when it will come. So you have to make the necessary changes in your system. Model GST law came last year. Small businesses should not have a problem. Small businesses up to Rs 75 lakh can opt for composition scheme. They have to submit a return only once in 3 months. And what do they have to write? My total turnover in these three months is this, and they have to pay a tax in the nature of turnover tax. Traders will pay 1 per cent, manufacturers will pay 2 per cent and restaurant will pay 5 per cent. It's a one line return for them. Then there's another category of people above Rs 20 lakh but they have not opted for composition. For these people if they are making B2B supplies, only then invoice data has to be given. But if they are selling to consumer they don't have to, their return will have only five-six lines. For each tax rate, they have to say the turnover, and the tax. And they pay tax accordingly. For these people the compliance is not that difficult. Kirana stores will go for composition. You made a presentation before the GST council, what were the issues raised there? What were the major concerns of the council? They were all asking whether we are ready or not. Some people said that there are complaints they were not able to log in. If your system can't handle this traffic, how will you handle that traffic? I said the problem is out of 80 lakh, I have done 60.5 lakh. Can it happen if my system was not working? When 10,000 persons successfully submit their applications on our website, they don't go to Twitter. 5 people who have problem, they go on Twitter and everybody says if Twitter is saying it's not working so it must not be working. This is the unfortunate reality of social media. So now we will ourselves tweet that today we have successfully accepted so many applications. Let the world know that also. We have a 100 seat call centre. It was difficult to take calls because there were so many people calling in. Now we will have 400 seat help desk. We analysed the complaints people were making. There were 2 kinds of problems. One was the people don't read what is required. For example, if you have to sign with digital signature, there is a certain software you have to download and use and your computer has to be compatible with the version that is required. You have to look at those things. They don't do it and then they say the site isn't working and then they call up. This time, apart from increasing the capacity, we are using a software where if the tax payer permits, we will access his screen and tell him how to do it. During enrolment it will 4,000 to 6,000. It exceeded the capacity on the last day. Do you think all 34 GSPs will be ready by July 1? They had a problem because we had developed our software based on the rules of December 2016. We gave APIs to GSPs on that basis. The rules were changed and that required changes in the software. The problem was half of them thought GST is not coming now. They did not revamp their applications. Half of them have done it. Those who did it, are in a better state today. We are giving the updated APIs on July 28. They will take a week to make changes and by 16th they will be ready. When are the next lot of GSPs coming? We have 200 applications. We are working on that. We will bring in some more. But we want to see how these 34 work. If their performance is satisfactory then there is a case for expanding their universe. What if a GSP goes bust? How easy is it to migrate to another GSP? Like buying one software, dumping it and buying another software. What will the GSPs do? We brought in GSPs to help medium and large businesses who wanted their compliance activities to be automated. There are two important activities that each tax payer has to do to comply. One is providing the invoice data and uploading it on our system. The other is, when this data comes to us, our systems populates that into the purchase registers of the buyers. The buyer has to then look at that data and say 'Yes' or 'No'. If you have 100 invoices, you can visually look at it and tick that, but if you have one lakh invoices, you can't do that. So you have to download that to your computer and use your software to match. The offline utility will help the tax payers in both these activities. But for large tax payers to use that data to match with their own purchase records will take some effort and GSPs will do that. We also hope that when they provide these services to clients they will be providing many other value added services. For examples, they may arrange for big businesses that as soon as an invoice is generated the data is transported to this sheet and it rests there so every transaction automatically gets logged there so that upload will be easy; or inventory management or whatever. Have you fixed what they can charge the customers? No. We are not charging them and they can fix their own prices. It's for the customers to see. What happens if somebody has uploaded a wrong invoice and wants to correct it? There's a provision for making amendments. The amendment can be made in the same return, it can be made in the subsequent return also. There is no provision for revised return which in the current regime of VAT or service tax everywhere there's provision for revised return. GST has no provision for revised return but you can amend the existing data given. How is the offline tool working in test runs? We are testing that. We have not given it out yet. It's almost ready. We are planning to release the sheet by the end of this month, earlier than the tool so that people can familiarise themselves. The tool will be needed on July 16th. During the trial run, what were the major issues you faced? There were many things. We gave the offline tool for testing. One thing we found was that on some computers it would not open. We found they had old 32 bit computers and our software were meant to run on 64 bit computers. Then we realised that many people may be having old computers and our tool must run on those also. We revised our offline utility. Another thing was that the excel sheet we gave when the tool uploads it that required the date format in ddmmyyyy format. Some people were putting data into ddmmmyy (02-APR-17). So it was not taking that data. Then in the sheet we put a template for the date. There were other issues pertaining to the users. They had not prepared their computers, or they had specific problems. What was the toughest thing in this journey? The toughest thing was that we were working against a moving target all the time. If you give me the law and rules and then you ask me to do this, I will complete this work in 9 months. We have been working since November 2015, it's more than 18 months and we found it so difficult because every time you do something, the rule changes, then the law changes. And these changes have come in May and June also. Some rules are still not there. Developing a customised software like this is very difficult and it makes life more difficult if you are asked to make changes every day. Any last minute hitches? What could go wrong between now and July 1? Nothing will go wrong. We have been testing and testing and testing every day. My only worry is this 10 lakh new tax payers who will rush on the first day, June 25, to register. The migration will close after three months. New registrations will remain open through the year. Wish us well.